Skoda has made the DSG automatic gearbox available on the four-wheel drive versions of the Superb and Octavia ranges which are fitted with the 2.0 TDI 140bhp CR engine. 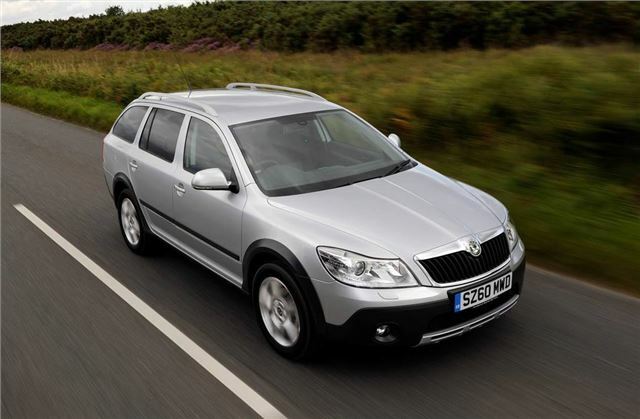 Available from November 2010, prices start at £21,705 for the Octavia Estate 4x4 while the Superb hatch costs from £22,935. The advanced four-wheel drive system is designed to tackle those challenging conditions that would leave two-wheel drive competitors stranded. Power distribution is controlled electronically by a fourth-generation Haldex clutch. Under normal traction conditions, 96 per cent of the total power is directed to the front axle. In adverse weather conditions - similar to those experienced in the UK last winter - the Haldex system reacts in a split second to redirect power to those wheels with better traction, greatly increasing driving safety. The 4x4′s capabilities aren't limited to wintery conditions. In summer months the 4x4 technology will ensure that towing caravans and trailers is easier and safer, and because drive to the rear wheels is disengaged when not required, there's little adverse effect on fuel consumption.